Fast-casual is currently reigning supreme in Columbus, as consumers crave meals that are fresh, quick, and tasty. 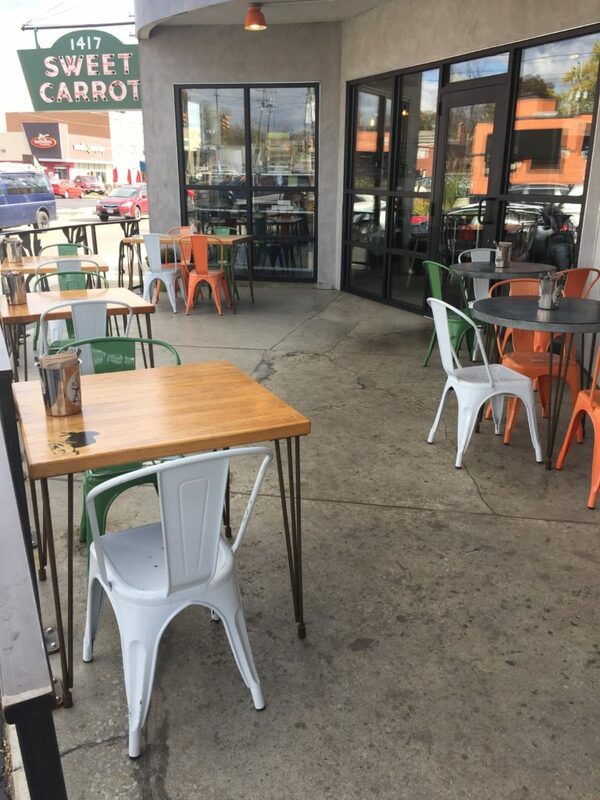 Sweet Carrot’s unique spin on this concept fits the bill, with a from-scratch focus and reasonable prices. Don’t be intimidated by all the carrot menu items – I’m not the biggest fan of the orange veggie and loved each item. In fact, I was so eager to try the grub served up at this Grandview locale, that it made this year’s restaurant bucket list. Let’s start with some background information. Sweet Carrot’s name comes from an anagram of “Two Caterers,” the company which evolved into a food truck and then the current eatery. They still have an extensive catering menu available, which would be a great way to feed a large group. 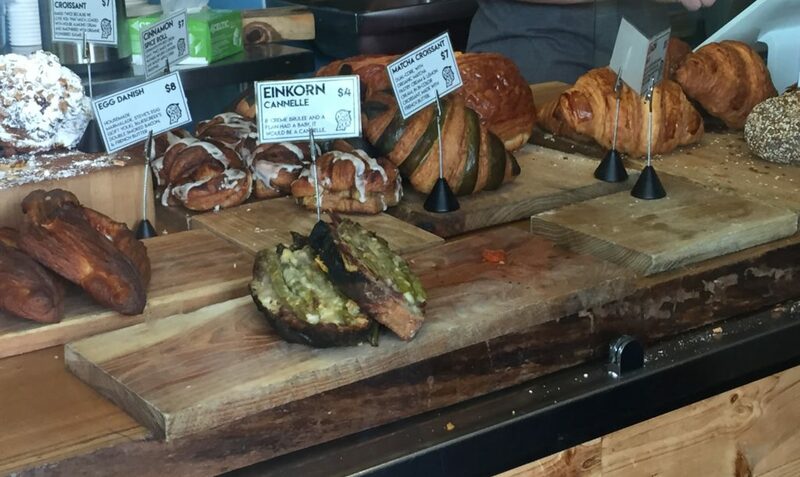 Everything from the meats, which are smoked daily, to the baked goods and the barbecue sauce are made in-house. The dining space is light and modern, with wooden stools and tables carved with renderings of rabbits and carrots. There is also a selection of local beer and craft soda, ready for your consumption. To make a Sweet Carrot meal, first choose your protein from pulled pork, brisket, Ohio chicken meatballs, smoked turkey, and fried artichokes. 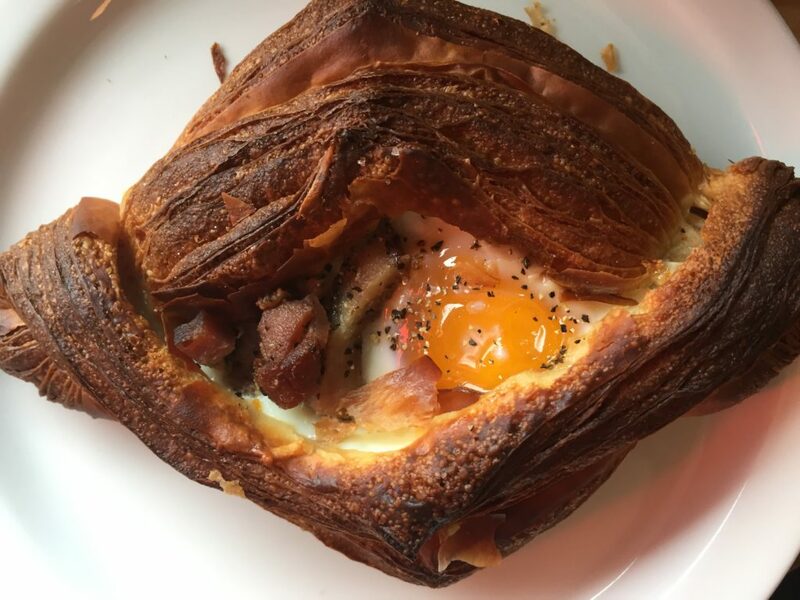 This main selection can be plated as a sandwich in a yeasty, homemade roll, on a salad, with mac ‘n cheese, or a griddled corn cake as the base. I opt for the pulled pork or fried artichokes atop the macaroni or corn cake for maximum deliciousness. 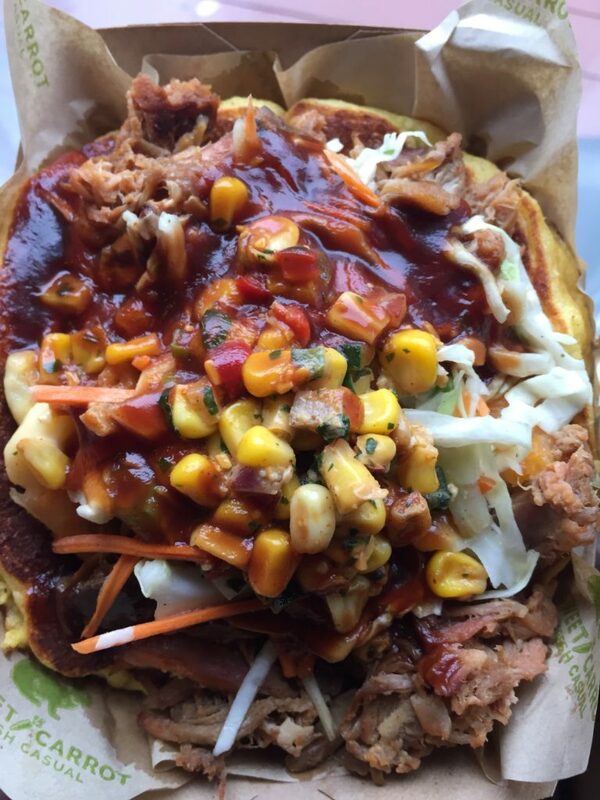 The dish is then finished with a scoop of slaw for crunch, tangy house sauce, barbecue sauce, and corn salsa. Finally, make sure you if you didn’t order macaroni as the main component of your entree to ask for your meal “loaded.” This leads to the perfect addition of a scoop of macaroni and cheese to your order – mixing in such cheesy goodness can’t be wrong. Add some flavorful carrot tomato soup or chips with corn salsa on the side, but warning: you may not have room for anything else. The desserts are just as worth a visit. You would expect carrot cake to be a staple here, and it is! As I mentioned, even the non-carrot cake obsessed will love the soft texture and the piped carrot atop the icing. But the cookies are where I think Sweet Carrot really shines. 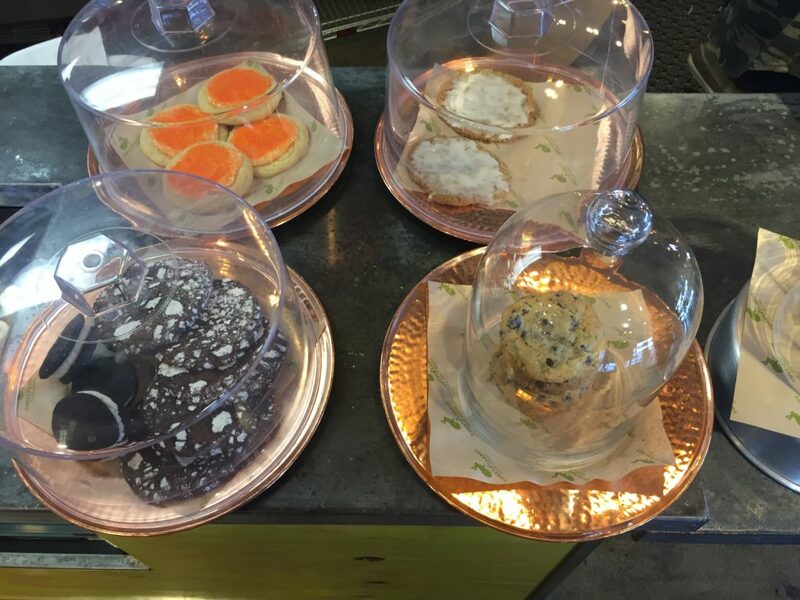 The large Roasted Carrot & Coconut cookie, covered in a tasty glaze is one of the best cookies I’ve ever had; the chocolate sandwich cookie and the lemon sugar cutout treats were divine as well. Cake pops and more solid cookie varieties round out the baked offerings. Culinary Clue: I got a tip from one of the employees on my most recent visit that a new Sweet Carrot location is in the works. Here’s to more Coconut Carrot cookies for everyone as the business expands! PS. 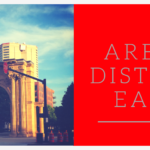 I’ve done an entire series of posts about places to visit in Grandview Heights. You can check those out here. I didn’t need another reason to come to Grandview Heights, honestly. I’ve written about my love for this hip ‘burb already! But then Balboa happened, and its queso, and now I’ve got a new happy hour obsession. This SoCal-inspired spot has a huge patio and a cool interior that is ideal for any season. Furthermore, since it’s brought to us by the owners of Bodega, the food was bound to be impressive. 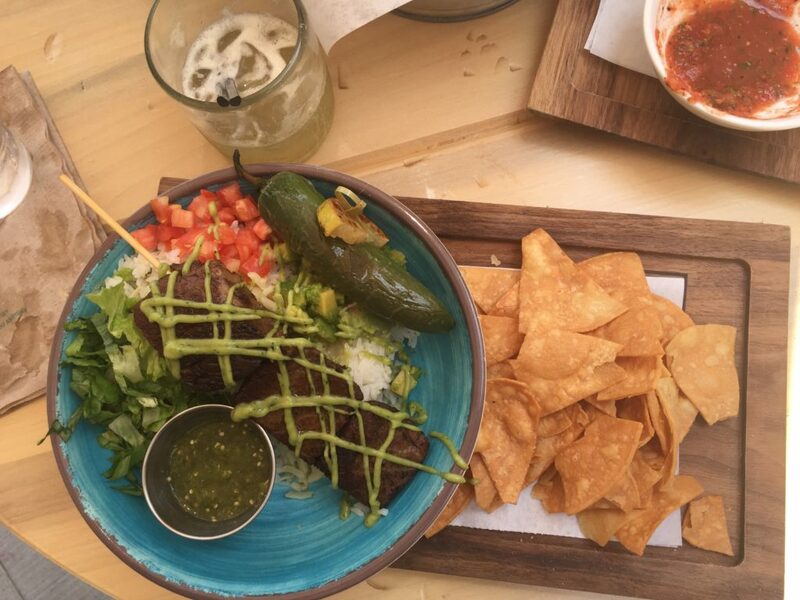 You MUST get the sampler trio of dips to start. 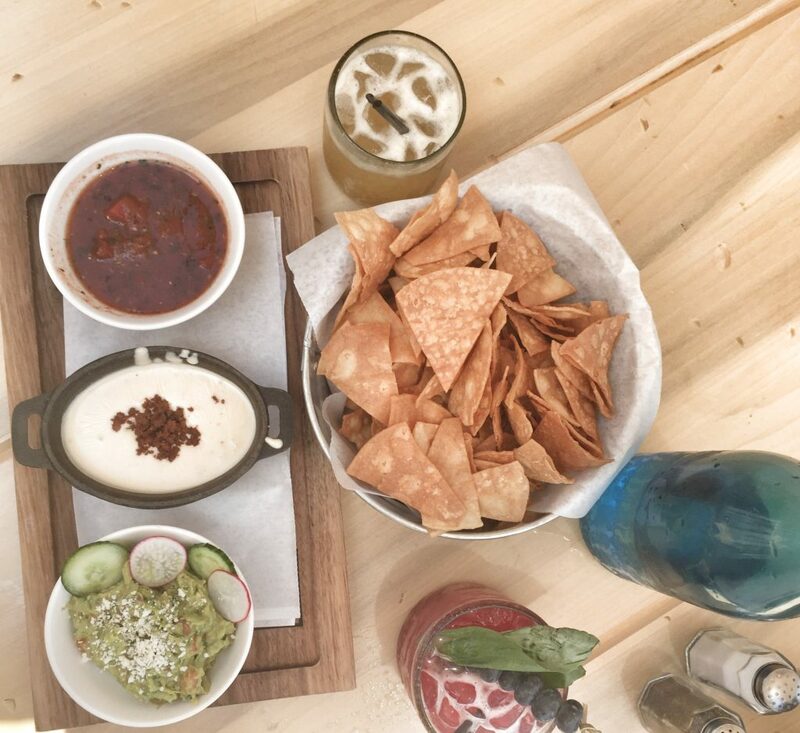 This platter of dunkable goodness comes to your table in adorable mini bowls and crocks, with three mouth-watering options for your dining pleasure: salsa, queso, and guacamole. The housemade chips served up on the side are salty and addictive, and by the time our entrees arrived, I begged the waiter to remove the chips from my reach so I would quit gorging on the queso, no lie. The queso is that ridiculously good. Is it the chorizo? The addition of queso fresco cheese? I’ll never know, but I will eat it again to find out. The Buffalo Shrimp tacos were equally as sensational, consisting of three tacos piled up with spicy buffalo-sauced shrimp and cooling bacon blue cheese slaw, and the Short Rib Bowl (beer-braised meat, rice, avocado, pepperjack, cilantro sauce and more) also delighted my taste buds. The Doritos Mac and Cheese has the most fun topping you could imagine – the cheesy crust on mac n’ cheese is the best part, right? Other great options: the smoky, grilled Street Corn and the chocolate-dipped frozen bananas for dessert. Balboa’s drinks don’t miss the mark either. You won’t leave thirsty with an extended happy hour that lasts from 4-7, Californian and local brews, and alcohol-laced adult smoothies. 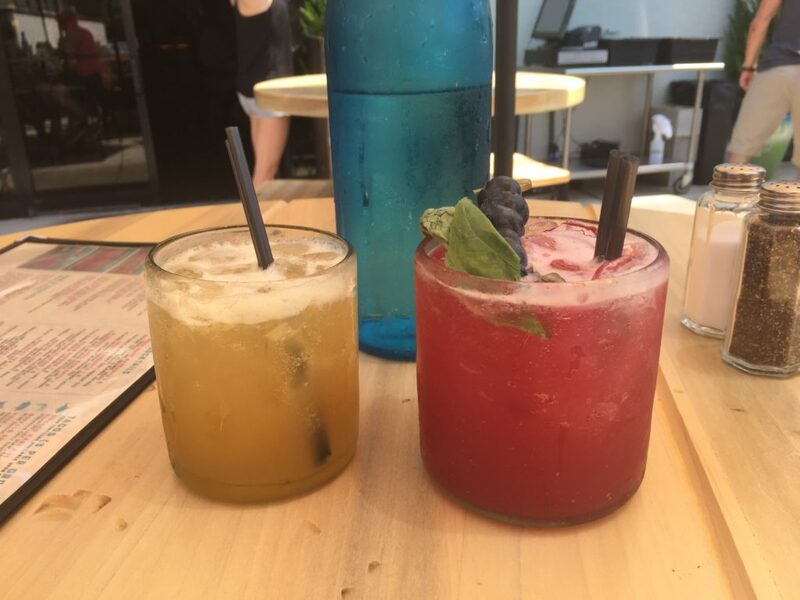 My favorite drink was the Blueberry Basil Margarita, a pink confection of blueberry basil-infused tequila shaken with lime, orange, and agave and poured on the rocks. Little Adventures Await also clued me in to the fact that they have enormous pitchers of sangria in red, white, and rosé (!!!) varieties for just $25. 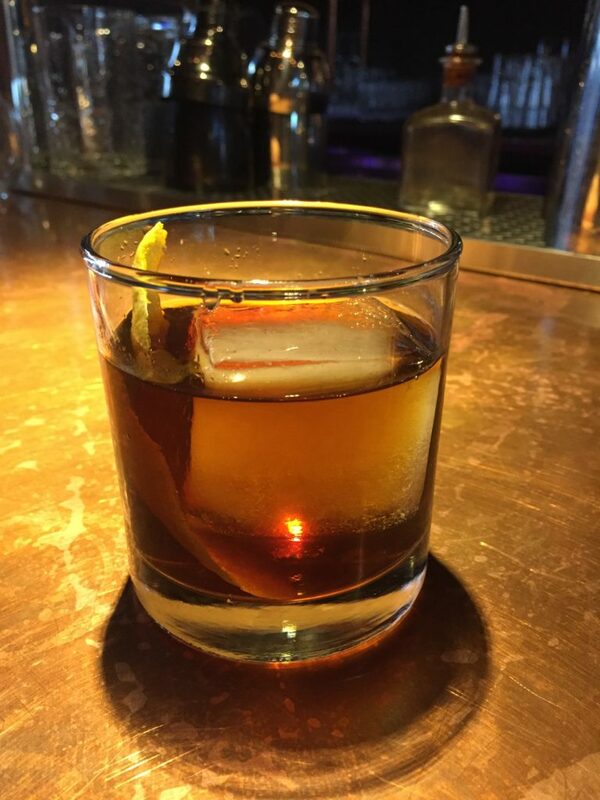 The bottom line: for fun cocktails and delicious Cali cuisine, head to Balboa soon. And maybe don’t bring friends if you don’t want to share your queso. 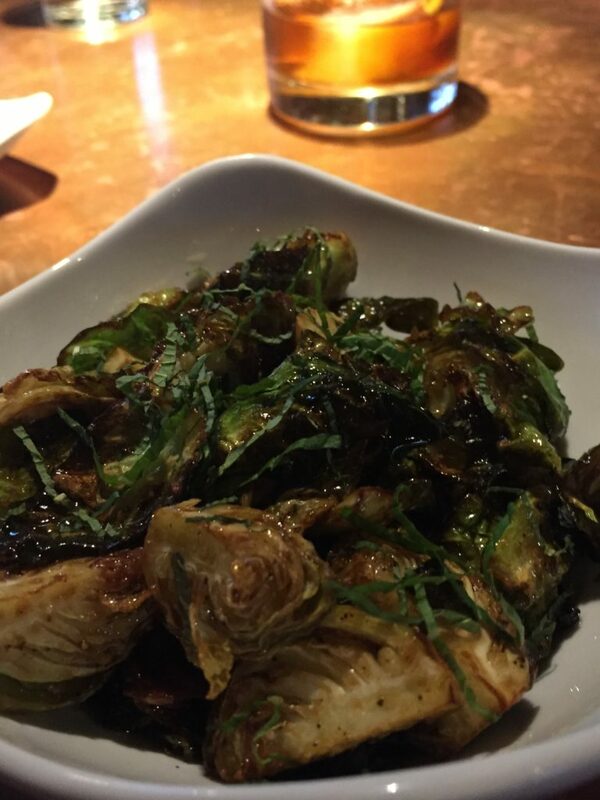 Culinary Clue: Looking for more to do while you’re visiting Balboa? Download my Grandview Guide here! 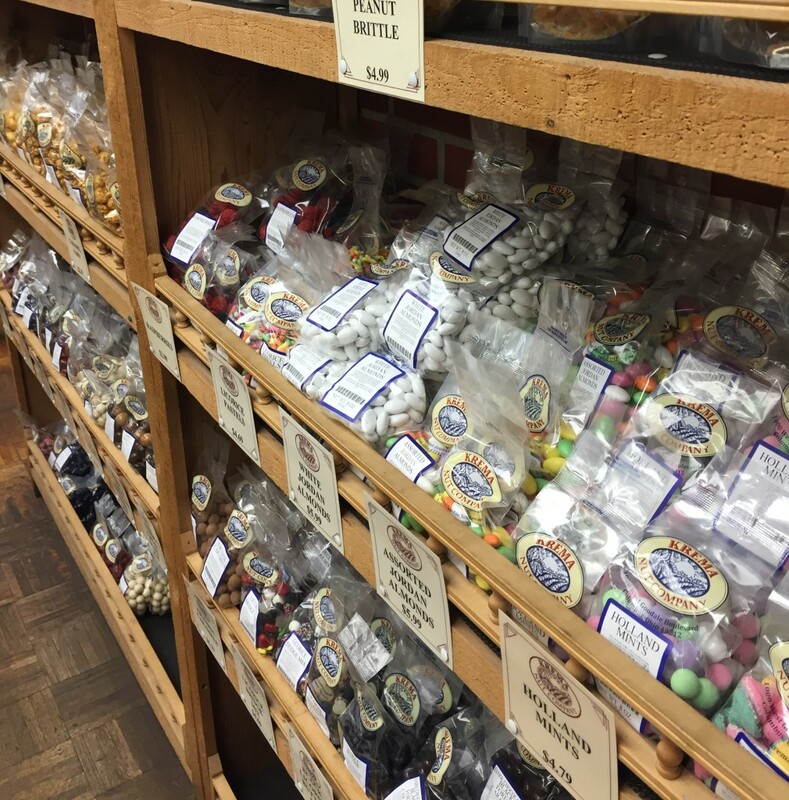 Now that I finally made it to the Grandview-area Krema Nut Company, I am seriously upset I waited this long to check it out. I am always fiending for peanut butter anything, so it was high time that I give Krema a visit, if for no other reason than to check a box on the 2016 Hot List. I underestimated what I’d find inside, and I will definitely return, with friends, for some nutty treats. Upon entering, you walk into the gift shop. The store sports every snack and sweet you can imagine, many of them house-made. Pick up addictive Buckeye Cashew Crunch popcorn, cinnamon almonds, or Krema’s nut butter sampler pack so you can taste every variety! Glass offers a peek into the production area from the retail section; Krema also conducts tours by appointment, giving a glimpse of the peanut butter-making process. But it’s the sandwich shop area to the left where you should head for your dining pleasure. 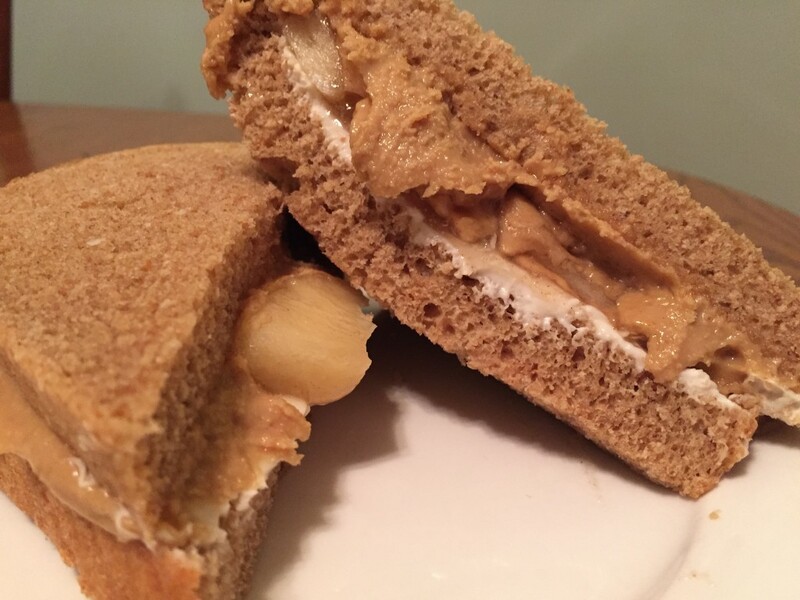 The Cashew Delight, with tart cherry preserves and cashew spread, is simple and utterly satisfying, or gobble up the PB Apple Cheesecake sandwich, combining peanut butter on one side with honey nut cream cheese and chunky apple fruit spread on the other. 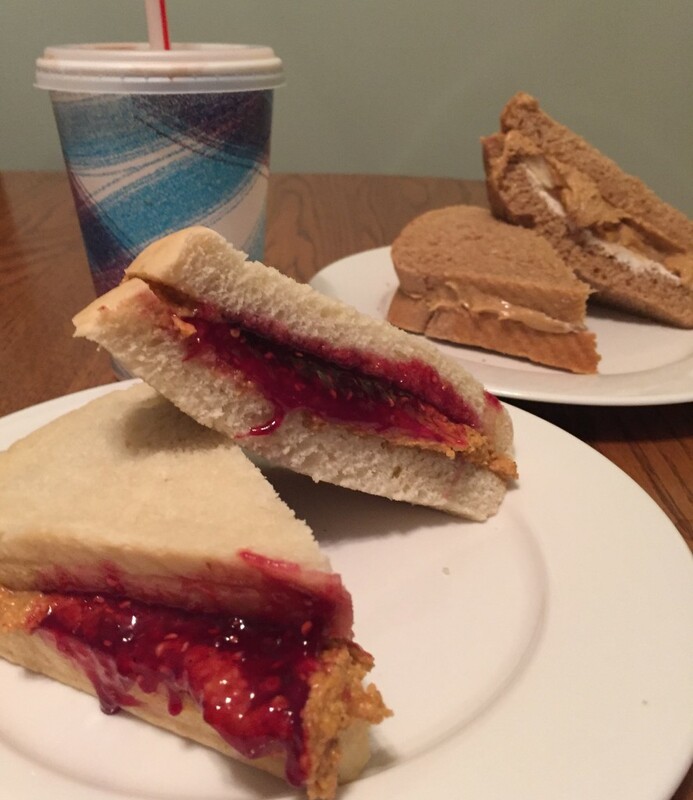 Heat seekers should snap up The Kicker, made with house hot and spicy peanut butter and slathered with raspberry preserves. 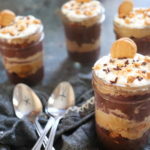 You can also mix-and-match your choice of breads, nut butters, and toppings like bananas, marshmallow fluff, or orange-apricot spread for a custom sammy. Wash it all down with a Buckeye milkshake, a thick and creamy take on the beloved PB and chocolate combo in a shake. 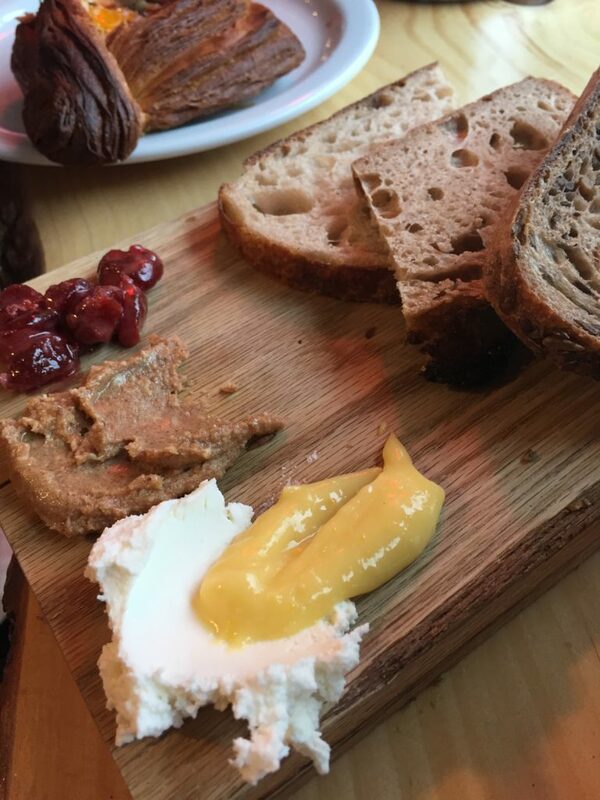 Culinary Clue: Don’t miss out on Brothers Drake’s collaborative PB & J mead, made using 300 pounds of Krema’s Spanish peanuts for the PB component. And yes, it actually does taste like your favorite childhood sandwich. One thing that really sets Grandview apart from other neighborhoods is its sense of community. A fabulous example of that is the Grandview Hop, a street merchant extravaganza which promotes local business. The Hop runs from May-September, always from 5-9 on the last Saturday of the month. Part of Grandview Avenue is shut down for vendors, with wares ranging from jewelry to coasters, or peddling treats like popsicles and cupcakes. Many of the brick-and-mortar shops and restaurants are open too, with sales and happy hour specials. Often you can catch live music and activities as well. Let’s get something straight – samples are amazing. 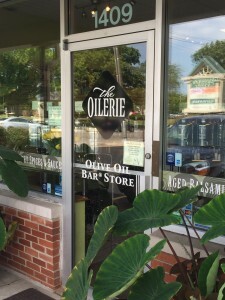 At The Oilerie in Grandview, you can taste until your heart’s content, and you will want to do exactly that. 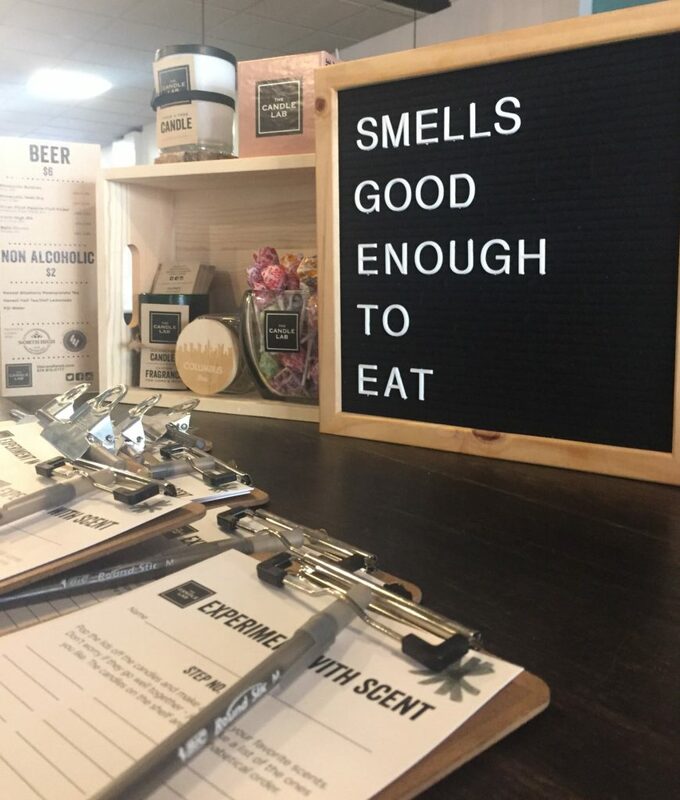 Tucked away in a strip mall off of Grandview Avenue, you would never know that this tiny spot could inspire so many recipe ideas in one visit! All of the olive oils from the store come from olives harvested by the same producer, whose picture is hanging on the wall. 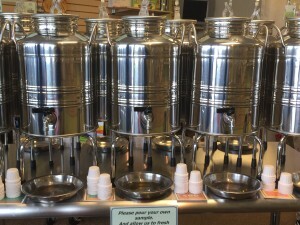 The store is a maze of tables topped with large metal dispensers called fusti. 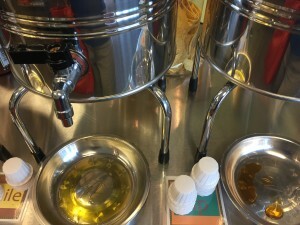 Each of these containers is filled with a perfect olive oil or vinegar; there are little cups beside the fusti for endless sampling. It is so hard to choose which ones to select – each variety seems better than the last. For olive oils, there are choices such as chili, dill, lemon, and oregano, as well as speciality oils like avocado and hazelnut. The garlic oil is the best seller, and would be perfect for all kinds of cooking: topping grilled veggies, dipping bread, or a simple drizzle on pasta. In vinegars, The Oilerie stocks flavors like blueberry balsamic, pear balsamic, raspberry balsamic and a delicious aged signature balsamic. I can’t wait to make a spinach salad with the pomegranate balsamic vinegar – yum! Once you do decide (after 30 minutes of debate and tasting, in my case) the selection will be bottled and poured in front of you. It is then sealed and labeled with the date for maximum freshness. Overwhelmed by all the options? The staff is happy to help you select an olive oil that is right for your needs. During my recent visit, I chatted with Harley, who gave me plenty of tips on how to use the more unusual oils in the best way (cinnamon olive oil on a baked sweet potato? Yes please!). He also told me that The Oilerie does parties, which for around $10 a person, is a great deal. They shut down the store for your group, make a few dishes using their oils and vinegars for you to devour, and then let you go taste crazy! In the store, you will also find other tasty products like pastas, sauces, spices, and even olive oil-based skincare items. 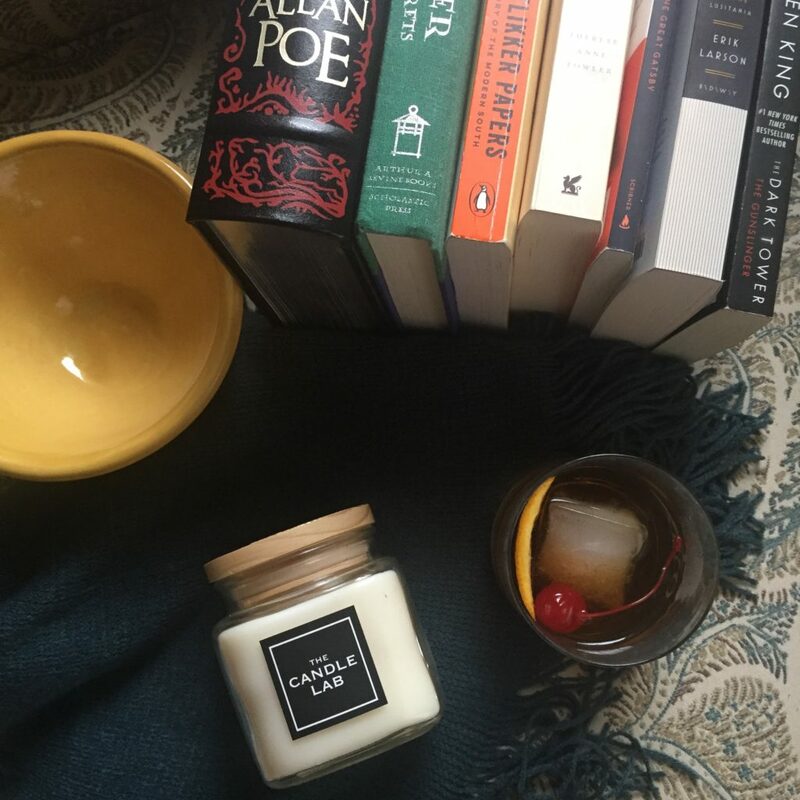 Any of their offerings would be a fabulous gift for an out-of-town friend too. 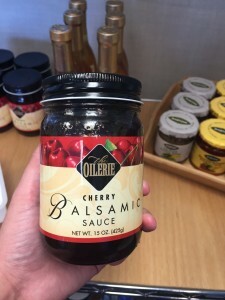 I also picked up some cherry balsamic preserves that will be amazing on pork tenderloin, but I’ll be back soon for that white balsamic that I’m having insane regret that I didn’t buy. 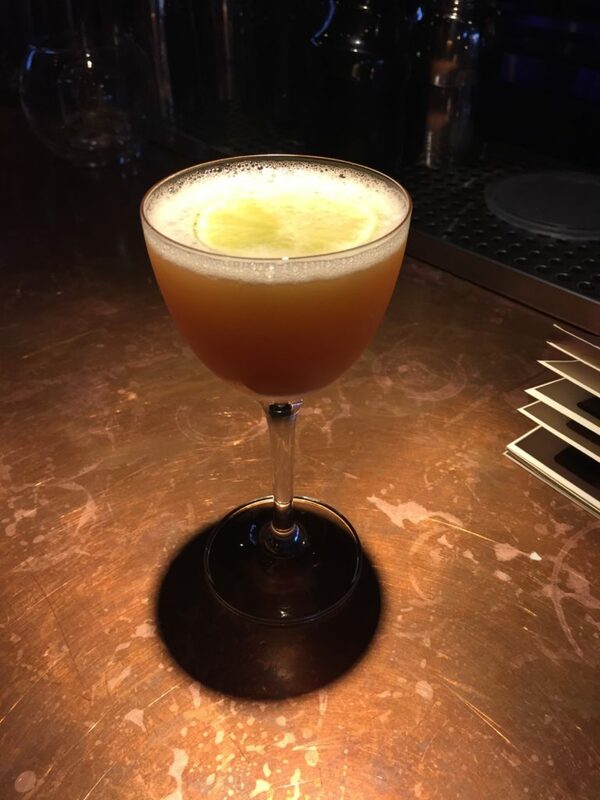 This is the third review post for my Grandview culinary scene series. Sign up here to automatically be informed when new Grandview posts are released! 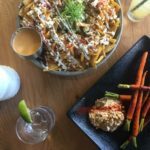 To see my breakdown of the best Grandview spots for dining and shopping, check out the initial roundup post here. 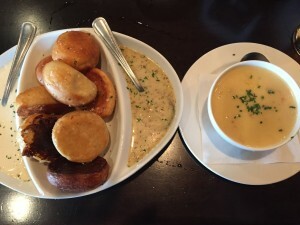 If you are strolling through Grandview Heights and are looking for a restaurant that is casual but still delicious, Matt the Miller’s Tavern should be your destination. This pub is a great place for a beer with friends, and still special enough for a date night. 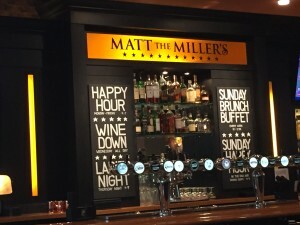 One of my favorite features of Matt the Miller’s is the great bar area. There is plenty of seating, and a gorgeously designed tap handle feature. 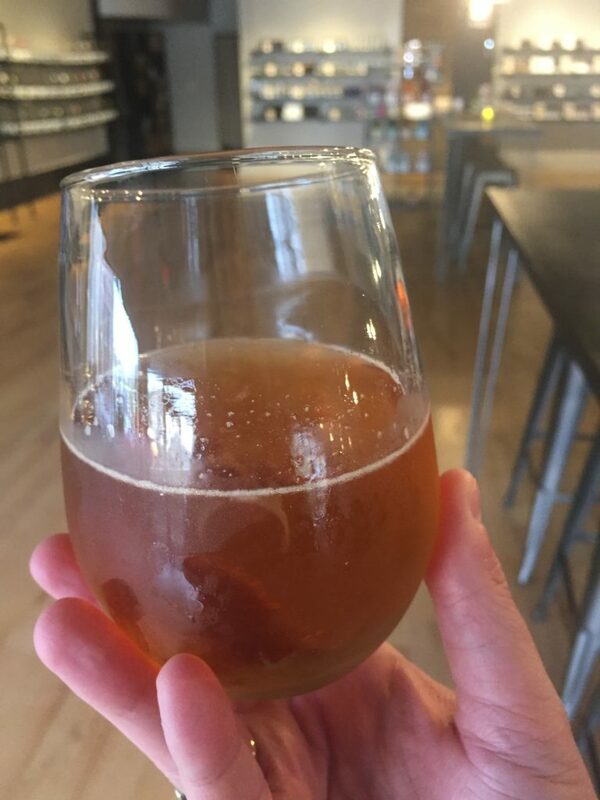 Sample beers on special from Columbus’ best breweries such as Land-Grant Brewing, Columbus Brewing, and Elevator Brewery. It is a great place to relax and unwind after work or with a group. The thing I love most of all at this Grandview spot, however, is the Bavarian pretzel bites. They must be mentioned early in the post because they are so tasty! These nuggets fall under the appetizer category, but the size of each is so huge, they are more like rolls. They are served with a creamy garlic sauce and a sweet mustard, but I also like to dip them in the beer cheese soup! The flatbreads are satisfying too. Adventurous folks will adore the Ahi Tuna: creamy miso mousse topped with avocado, Asian slaw, tuna, and wasabi mayo. 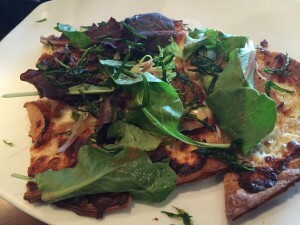 Combine the salad and entree courses with the Pear and Gorgonzola flatbread, consisting of creamy gorgonzola mousse, pears, smoked provolone, mixed baby greens, raspberry vinaigrette and crispy fried tarragon. If there’s greens on your pizza, you can pretend it’s healthy, right? Main dishes are solid as well. I am a sucker for shrimp and grits, and this version is stick-to-your-ribs comfort food. Picture plump shrimp on grit cakes with traditional Tasso ham and spicy sauce – you’ll want to spoon it all up. Burgers are a good choice, like the peppercorn burger, topped with brie, bacon, red onion marmalade, baby arugula, and tomato and ale mustard sauce. Caution: save room for dessert! The Banana Bread Pudding is heavenly: cinnamon rolls, croissants and brioche bread with banana custard, served a la mode with whiskey caramel sauce. Stop in for their brunch buffet too! They have a huge assortment of options so you can pile your plate high. Items range from perfectly poached Eggs Benedict, flatbreads, salads, bacon, omelettes, and waffles. Don’t miss the Ultimate Bloody Mary Bar, where you can pick your mix, then vodka (try pepper or original), and finally plop in favorites like pickles, celery, and even Slim Jims. Culinary Clue: Stop in on Tuesdays, for the “2 for Tuesdays” special. Choose from the tavern burger or fish and chips paired with a craft beer or glass of wine for $12 and under. 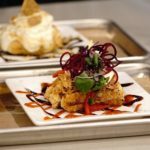 This is the second review post for my Grandview culinary scene series. Sign up here to automatically be informed when new Grandview posts are released! 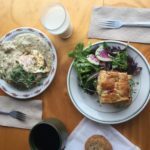 To see my breakdown of the best Grandview spots for dining and shopping, check out the initial roundup post here.